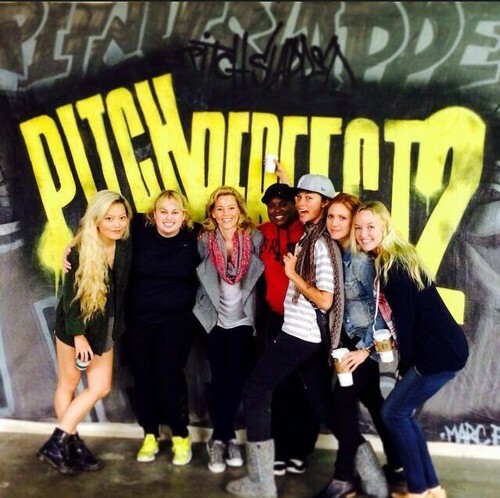 Pitch Perfect 2 Rehearsal!. First foto of the cast reuniting for rehearsals. Wallpaper and background images in the Ritmo Perfecto club tagged: photo pitch perfect 2 rehearsal cast. This Ritmo Perfecto photo might contain signo, cartel, texto, pizarra, letrero, traje de negocios, and juego de negocio.